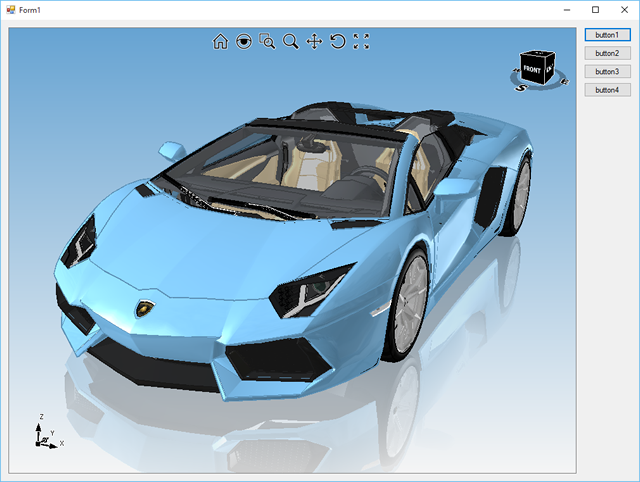 Eyeshot is the perfect solution for developers who are looking to add advanced, feature rich, visually appealing 3D viewports to their Windows applications. With interactive Zoom/Pan/Rotate, five different shading modes, eight selection methods, layers support and professional imaging/printing you get the most out of your 3D scene. Eyeshot includes a full assortment of entity types, including curves, polyhedral meshes, surfaces, solids and point clouds. Modeling tools include triangulation and meshing, boolean operations, curve and surfaces trim, fillet and offset and surface reconstruction. Support of major standard CAD file formats allows 3D models to be easily imported and exported. The product is easy to deploy: a few managed, strong named assemblies. Assemblies can be distributed using XCopy or the global assembly cache. Available for WinForms and WPF platforms, it is written in managed C# and provides integration with Visual Studio .NET IDE. This allows Visual Studio .NET programmers to leverage their current programming language (C# or Visual Basic .NET) when programming with Eyeshot. The product is based on a per developer licensing scheme, and it is royalty-free to distribute. Copyright © 2006-2018 devDept Software S.r.l. All rights reserved.